Since its creation by the Legislature, in 1955, the Commission has continued to operate as the principal state agency responsible for administering financial aid programs for students attending public and private universities, colleges, and vocational schools in California. The Commission has never wavered from its central mission to make education beyond high school financially accessible to all Californians. The Commission provides financial aid policy analysis and leadership, in partnership with California’s colleges, universities, financial institutions, and financial aid associations. Vision: Toward a California that invests in educational opportunity, fosters an active, effective citizenry, and provides a higher quality of social and economic life for its citizens. Mission: Making education beyond high school financially accessible to all Californians. The Commission consists of 15 appointed members. 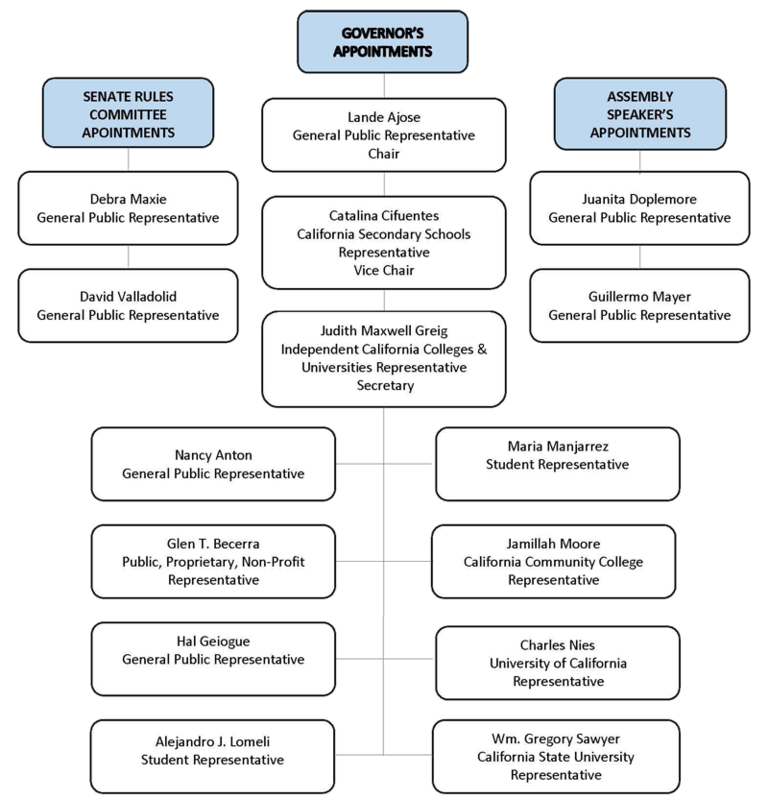 Eleven of the commissioners are appointed by the Governor and represent students, segments of the State’s higher education community, and the general public. The Chair of the Senate Rules Committee and the Speaker of the Assembly each appoint two members. 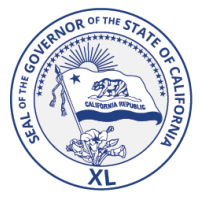 The State of California is committed to helping small and disabled business thrive. 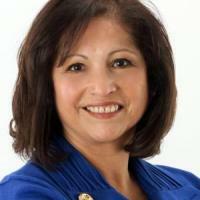 The SB/DVBE Liaison, Ms. Diane Watkins can be contacted at businessservicesteam@csac.ca.gov. Our web properties are strictly used to conduct official CSAC business and as policy we do not advertise or link to any entity other than State, Federal, or our official partners.